Researchers from the University's Institute of Translational Medicine have found an explanation for how breast cancer spreads to the lungs, which could potentially hold the key to preventing the progression of the disease. Breast cancer remains the leading cause of cancer death in women due to metastasis (the spread of a cancer from one organ or part of the body to another) and the development of resistance to established therapies. Macrophages are the most abundant immune cells in the breast tumour and can both inhibit and support cancer progression. The research team, led by Dr. Ainhoa Mielgo, conducted a study to gain a better understanding of how breast cancer associated macrophages support breast cancer metastasis with the aim of developing more effective therapies against this disease. They found that these macrophages express high levels of specific proteins called 'insulin-like growth factors' (IGFs) 1 and 2 and this helps metastatic breast cancer cells grow in the lungs. IGF-1 and 2 are hormones found naturally in your blood. Their main job is to regulate the effects of growth hormone (GH) in your body. However, as shown in this study, tumours can also express these proteins to help them grow and metastasize to other organs. 75% of breast cancer patients examined showed activation of IGF receptors which correlates with increased macrophage infiltration and tumour progression. In patients with invasive breast cancer, activation of IGF receptors increased to 87%. The researchers found there was a significant reduction in tumour cell growth and lung metastasis in pre-clinical breast cancer models when IGFs were blocked in combination with paclitaxel, a chemotherapeutic agent commonly used to treat some of the most aggressive types of breast cancer. The results of this research study have been published in Oncogene. Dr. Mielgo said: "Our findings provide the rationale for further developing the combination of paclitaxel with IGF blockers for the treatment of invasive breast cancer. "A better understanding of the mechanisms underlying the metastatic spreading of breast cancer is critical to improve treatment and patient outcome." 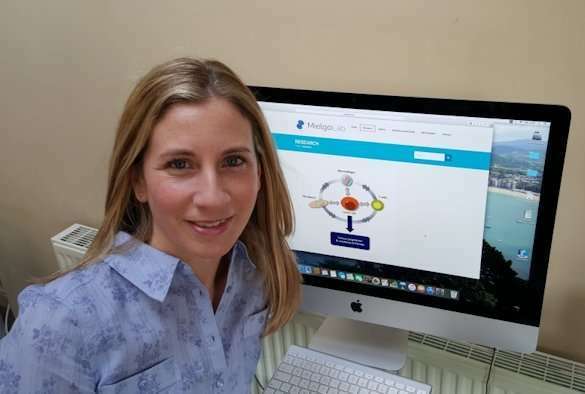 Lucy Ireland, Ph.D. student in Dr. Mielgo's group and first author of this publication, said: "I am thrilled by our findings, as the combination therapy is more effective than the current treatment in pre-clinical models of breast cancer."